I have been practicing from an embodied approach to spiritually-oriented psychotherapy for over 35 years. I grew up at a time in history when young people were searching for ways of life that expressed their authenticity and ways to continue to develop as a person, rather than fulfill roles or parental expectations. I “knew” in an intuitive sense back then, that these two pathways (spiritual and personal growth) are intertwined and it has been my life work to learn how to be a healing presence for those seeking a kind of wholeness that is rich with spiritual purpose. My spiritual journey has included exploring many spiritual practices and both Eastern and Western religious traditions, including, most recently, 16 years of studying and practicing Zen Buddhism. I have a deep respect for the diversity of our spiritual expressions and religious orientations and the unique ways in which each person is touched and engaged by the mystery of life. The teachings of Carl Rogers and Eugene T. Gendlin taught me how to listen to the whole person, and particularly how to listen to how the body is forming meaning in the moment. They taught me how to help people cultivate a capacity for inner listening, and how to step aside so that the inner direction forming within the person is expressed. I have special expertise in the area of Mind/Body Healing, and help people discover how to listen to information that comes through the body to guide a physical healing process. Both my research in the field of cancer care and 7 years of working at the Center for Complementary Medicine, Park Ridge, Il. inform my work. My professional experience includes having been the founding Director of The Focusing Institute and currently offering training as a Certifying Coordinator. 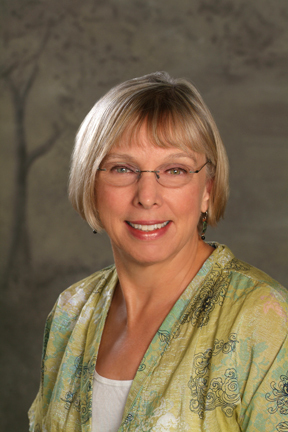 I have taught Focusing-Oriented Psychotherapy through local and national programs and graduate schools. I have taught internationally including The Netherlands, Hong Kong, Mainland China, Japan, Canada and this fall in Hungary.